UFO SIGHTINGS DAILY: Hillary Clinton Promises To Look Into The Existence Of UFOs If She Becomes US President, Jan 2016, UFO Sighting News. Hillary Clinton Promises To Look Into The Existence Of UFOs If She Becomes US President, Jan 2016, UFO Sighting News. Presidential candidate Hillary Clinton doesn't know it yet, but she does not have the power to release such information. CIA would kill her before she could, just like they did JFK. Yes, just a week before his death JFK wrote a memo to CIA to release all pertinent info to NASA, but...somehow he was killed before it ever happened. I was 1st to publish this document in my book UFO Sightings 2006-2009. 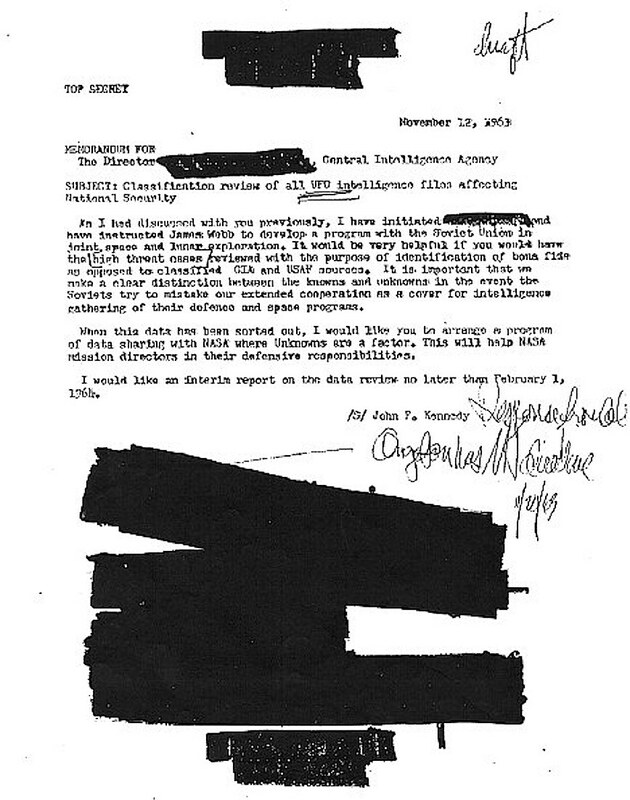 JFK wrote the memo to CIA on Nov 12, 1963, then on Nov 22, 1963 he was killed by the CIA. Thats how US politics work. Hillary will be to scared of the CIA to release such information, or she needs to reassign all heads of CIA to make sure they are on her team. CONWAY — Democratic presidential hopeful Hillary Clinton gave UFO enthusiasts a reason to cheer at the close of her recent editorial board meeting with The Conway Daily Sun. IMG 0264 Reporter Daymond Steer asks Democratic candidate Hillary Clinton for her stance on UFOs when she visited the Sun on Tuesday. (MARGARET McKENZIE PHOTO) During the meeting, the former first lady, former senator from New York and secretary of state answered serious questions about foreign policy and the economy, and at the end, she chatted with this reporter, who had asked her about UFOs the last time she visited. She recalled that 2007 exchange with a smile and seemed to have fun discussing the topic. "Yes, I'm going to get to the bottom of it," said Clinton with enthusiasm. Back in 2007, Clinton had said that the No. 1 topic of freedom-of-information requests that her husband, former President Bill Clinton, received at his library was UFOs. Last year, Bill Clinton told late-night TV host Jimmy Kimmel that he wouldn't be surprised if Earth is visited by aliens since so many planets out there may support life. "I just hope it's not like 'Independence Day,'" said Clinton, referring to a movie about alien invaders. When asked about her husband's nonchalant comment about contact with the third kind, Hillary Clinton responded: "I think we may have been (visited already). We don't know for sure." Clinton also said she would like to look into Area 51, a secret military base in Nevada that has long been rumored to contain aliens. At first, she called it Area 54 and then corrected herself. But Bill Clinton told Kimmel that he had already looked into Area 51. He said everyone who works there has to stop about an hour away to put on special clothing. Clinton said Area 51 is where stealth technology is made. "There are no aliens there," said Bill Clinton, adding at the anniversary of the supposed Roswell, N.M., crash in 1947, he released all the documents he could on the subject because he knew there would be popular demand. Kimmell had Bill Clinton promise that he would have announced the existence of aliens if he had found them. Hillary Clinton, while at the Sun, added that the chairman of her campaign, John Podesta, is a huge fan of UFO lore. She said he enjoys a sci-fi show on the FX network. Podesta served as chief of staff to Bill Clinton and counselor to the president for Barack Obama. 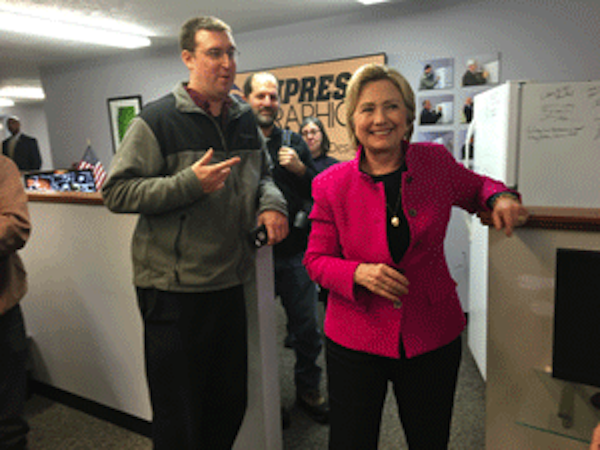 "He has made me personally pledge we are going to get the information out," said Clinton. "One way or another. Maybe we could have, like, a task force to go to Area 51."